Omro is located in Wisconsin’s Fox River Valley, within easy commuting distance of Oshkosh, Appleton and Fond du Lac. Omro is a small and growing Fox Valley community, attracting residents and customers from surrounding rural communities as well as adjacent metro areas. Omro offers a supportive community for small businesses. More than 50% of local retailers participate in more than 20 joint marketing and promotions activities held annually. Omro offers a wide variety of housing options in close proximity from rental apartments to single family riverfront homes. 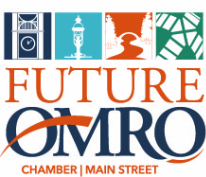 Future Omro promotes a public-private model for economic development. Together with our partners, Future Omro has created a safe place to invest time and dollars. We have identified retail opportunities and are looking for partners in the following fields: Clothing, Personal Care, General Merchandise and Full Service Restaurants. Contact us for a list of current space availability.